Shannon Selig, who went to Greely High School but now lives in Nashville, co-wrote a song about the effects of bullying along with Jim Mayer, the bassist for Jimmy Buffett. 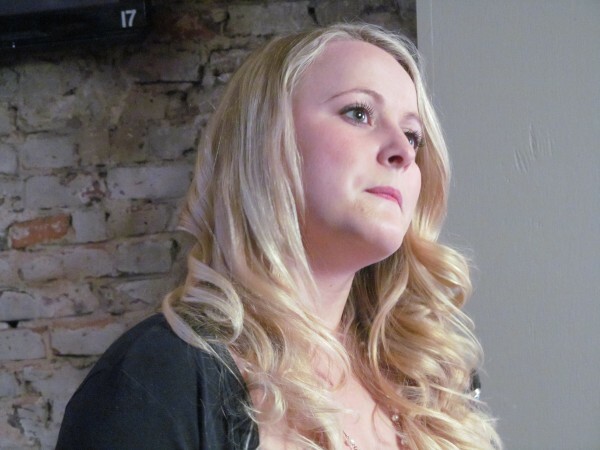 Selig, pictured here at Pat's Pizza in Portland on Friday, Nov. 23, 2012, hopes to release her debut country album in 2013 after claiming two North American Country Music Awards Horizon Awards as an up-and-coming artist in 2012. PORTLAND, Maine — Up-and-coming country singer and North Yarmouth native Shannon Selig is scheduled to return to Maine on Wednesday for the first time since November, and she’s bringing some recognizable talent with her. Joining Selig for a Thursday night concert in Portland to raise funds for anti-bullying programs will be Jimmy Buffett Band bassist “Uncle Jim” Mayer and Jillian Jensen, a 2012 contestant on the Fox television singing competition “The X-Factor” whose personal story of being bullied made her an early fan favorite. Also scheduled to perform will be Turner native and fellow anti-bullying activist Carter Isaac. Among those with credits on the record are Grammy-winning producer and engineer Chad Carlson, who agreed to mix the album and has previously worked with Taylor Swift, Trisha Yearwood and Alison Krauss. Battling bullying has been an important cause for Selig, who co-wrote what became a popular Internet single with Mayer on the subject — “Show Me The Light” — and rose awareness for the local nonprofit Keeping Kids Safe through her November performance. In the moments before she boarded a plane to Portland on Wednesday morning, Selig spoke for a few minutes with the Bangor Daily News by telephone. Question: What have the past six months been like since you were last here in Portland? Answer: It’s been crazy. When I saw you last in November I had launched a Kickstarter campaign to fund my album. Since then it was successfully funded — we raised $19,000 by December, and since then, we’ve just been planning for the album. I spent some time writing songs and coming up with new music. We went into the studio in early March and I released [my debut album] “Perfectly Imperfect” on April 16. It’s been a whirlwind. Q: You’ve worked with a lot of talented Nashville music professionals for your new album. Who had the greatest influence on your sound? A: Engineer Mike Stankiewicz — he’s one of my good friends and we brought him into the project because he’s so great at getting the best sound of out anyone. He’s worked with me on my vocals and he really just understands when to push me and how to help me really reach my potential. But the musicians in those rooms were humbling, too. Andy Hull — who has drummed for Collin Raye, somebody who’s a major influence for me — as well as Dow Tomlin on bass, and Danny Parks and Justin Weaver on guitars. To be in their presence and to be their colleague was just humbling, and it taught me that Nashville is a big family. Everybody wants you to do well, and that challenged me to do better. Q: Bullying is something you’ve been focused on during your young career. What’s your message? A: I’m not only highlighting the anti-bullying, but I’m trying to highlight positive role models, too. [I want to] teach people how to be positive and happy, how to be a positive role model, and that in turn will hopefully flip things on their end and help people love themselves. Q: You’ve said that sometimes the bullies need help, too, right? A: It really goes back to [the adage] ‘Do unto others as you would have them do unto you.’ My great-grandmother taught me that at a very young age. Some kids were never taught that and they never felt good about themselves. They don’t have that sense of self love and self esteem, and they feel they have to knock others down to feel better about themselves. I feel like everyone in their lives has been bullied and has been the bully at one time or another, even if it was just for a brief moment. Everyone has said something bad about someone else, and everyone has felt like they’ve needed to knock someone else down in order to feel better about themselves. The message of self-worth isn’t just for the kids being bullied, but the ones doing the bullying as well. Q: You’re in the Northeast this weekend. What’s next after that? A: After this, I’ve got a 10-day run in the South, and then in June I’m headed out to Washington state and touring back from there. In the fall, we’re hoping to put together a school-community-church tour, where I go into schools on Fridays, into the communities on Saturdays and into the churches on Sundays. We’re really trying to spread the ‘Perfectly Imperfect’ message, because I really believe in everything on that album. Music really helped me through my very darkest times, and I really believe there are songs for everyone on that album that let them know they’re really valuable and that someone believes in them. We really want to get into places where we can make a difference. Q: What are you most looking forward to in returning to Maine? A: This is the longest I’ve ever been away from home, so I’m excited to be back. Aside from the event Thursday night, I get to see my best friends graduate from Berklee [College of Music in Boston] on Friday and Saturday, and they’re playing in the commencement ceremonies [which will also include honorary doctorate recipients] Willie Nelson and Carole King. I’m just so proud, I might cry. I’ll be driving back from Boston to Portland and then flying out of Portland on Monday after spending time with my family on Mother’s Day, of course. Thursday night’s “Be Inspired and Take a Stand” concert will begin at 5 p.m. at the Portland Elks Lodge No. 188 on Congress Street. It is a donation-only event, and no tickets are required.